Discussion in 'Science Fiction' started by Boreas, Feb 1, 2018. And what science fiction or fantasy are you all reading this month? I am now going to start with William Gibson's cyberpunk classic Neuromancer. Finally, after putting it off for 20 years! I just bought Alistair Reynolds' Terminal World. This is a book that I liked a lot more some years after I read it. I mean, I did enjoy reading it, but after having gone through Reynolds' previous, seriously grand works, I was somewhat disappointed. I started to appreciate its uniqueness only later. It reminds me of Banks' Feersum Endjinn, even though the writing, the tone, the story are all completely different. Yet, there is a resonance between the two. I've gone through Reynolds' Revelation Space series recently and as much as I enjoyed reading "Revelation Space" itself, as this is simply a well-written, gripping story, it took a lot of determination to go through subsequent books. And I guess I'm not the only one who truly appreciated the greatness of these books only having read them all. And I'm still surprised the Nestbuilders sort of came out of the blue at the end of Absolution Gap, casually saved humanity and that was it Now I'm back to Hyperion series, looking for another great space opera stuff other than Banks, Reynolds and Simmons. kenubrion and Boreas like this. Hi @Gabriela, and welcome to the forum! Did you also read Reynolds' House of Suns? Banks and Reynolds are definitely two favourites of mine as well. Besides the Hyperion Cantos, you should also check out Simmons' Ilium/Olympos. Very good! There are also some space opera recommendations on this thread. I haven't read "House of Suns" yet but it is on long, galaxy spanning list of sf books to read which never ceases to grow even longer. But I'm on it! Thanks for the recommendations. I just ordered Altered Carbon by Richard K. Morgan. kenubrion, Boreas and Diziet Sma like this. I have the trilogy on my kindle. Let me know who you are finding it. Welcome @Gabriela, I will begin my Reynolds reading experience this month with Galactic North. Looking forward to it! 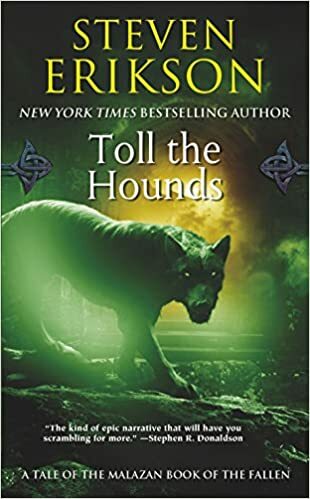 I'm halfway through Lavondyss (Mythago Wood #2) by Robert Holdstock, and I am absolutely captivated by this story. I feel it might be even superior to Mythago Woods. As soon as I'm finished with Lavondyss, I will begin Neuromancer. Apart from Boreas and I, is there anyone else interested in reading Neuromancer? Just finished work. Happy weekend to everyone! Safari Bob, Dtyler99 and Gabriela like this. Reynolds has got incredible talent to create truly mind-blowing settings for his books and that's I guess his greatest accomplishment. You are instantly captivated by the reality he describes, but he also tends to get a bit carried away by it and this makes his characters often much less interesting than the universe they exist in. But it's definitely worth immersing youself in it. Two people on Twitter showed interest in reading. One of them was very enthusiastic about it and gave every indication of joining in on the read + discussion. Hi, I'm one of the one's from Twitter keen on doing. I'm starting reading tonight . Boreas and Diziet Sma like this. Hi @Navigating Worlds and welcome! I will begin Neuromancer sometime this coming week, as soon as I finish reading Lavondyss. Welcome! Mrs. Nav, I presume? I put Terminal World by Alistair Reynolds on hold while I luxuriate in his hefty short story collection called Beyond the Aquila Rift. Great new (to me) stuff and I'm at the title story and it is so full of the vast imagination of Reynolds. Read Neuromancer when it went into PB in 1985 (showing my age). Then Count Zero and Mona Lisa Overdrive (completing a loosely coupled trilogy), and loved the immediacy of his story telling, using popular brands and up-to-the-minute terms every which way but loose, a device I use extensively in my own work. I was not enamored with his "wetware" book with Bruce Sterling and his Bridge Trilogy, plus a raft of short fiction. Then Pattern Recognition came along in in 2003 and restored my faith in his chops. The Peripheral from 2014 is fantastic. Boreas, Diziet Sma and kenubrion like this. Finished this a couple moths ago in my 1st Malazan re-read. Ranks right up there with Memories of Ice as the best in the series. The end is mind-bogglingly good. I don't remember having read cyberpunk before. Not sure what to expect or whether I will enjoy this subgenre. Can't wait to find out! I have finished Lavondyss, and I can understand why this book could disappoint some readers who love Mythago Woods. How two siblings can be so different! Both books share the same narrative pillars, but whereas MW felt gothic and anchored to some extend to the real world, Lavondyss is in comparison a oneiric festival. Tallis, the main character, has lost her brother Harry to Ryhope Wood. Tallis follows Harry into the primal Otherworld armed only with magic and masks. Ryhope Wood is a fascinating and terrible realm where she is forced to confront the mythagos, the physical manifestations of the legends shared by human's unconsciousness. Borges used to say: “The mind was dreaming. The world was its dream.” and I feel this explains rather well what Lavondyss is about. I have loved this book. I have loved how Holdstock used idealism as a channel to create lucid dreams. Dreams never far from logic nor myths, as the narrative follows reason as much as intuition. Now the question that Holdstock left unanswered in Lavondyss is, if life is a dream, then who dreams it? Or does life, on the other hand, dream itself?